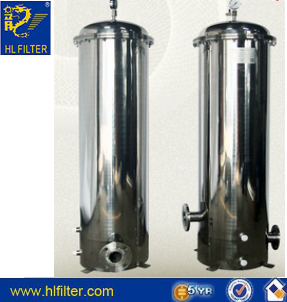 The filter element filter medium is composed of a variety of different materials, according to the production process can choose a variety of materials. The utility model has the characteristics of large filtering area, small pressure loss, convenient operation, good separation effect and high filtering precision. This product is widely used in beverage, chemical, pharmaceutical, electronics and other industries. 3.Length of cartridges ：10 "， 20 "， 30 "， 40 "